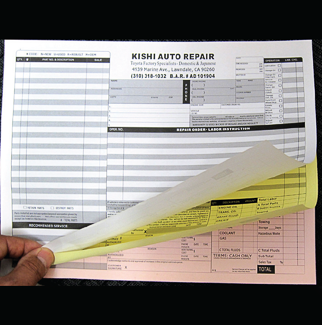 Print Your Receipts & Forms in Custom Carbonless Forms. You can add sequential numbering for easier tracking and recording. Filling out forms on business transactions doesn't need to be an added chore for you and your employees. With carbonless forms, you can save time and avoid frustration by making things simple. Upload your design file today for a quick quote.